I’ve had a busy week. Wednesday started with a pool session. I wasn’t given session specifics, so I decided to do a pyramid. As my shoulder still isn’t quite right, I didn’t want to push it too much, so I just did 2000m (I LOVE that I can now say ‘just’ when it wasn’t long ago that this would have been a major achievement!!!) 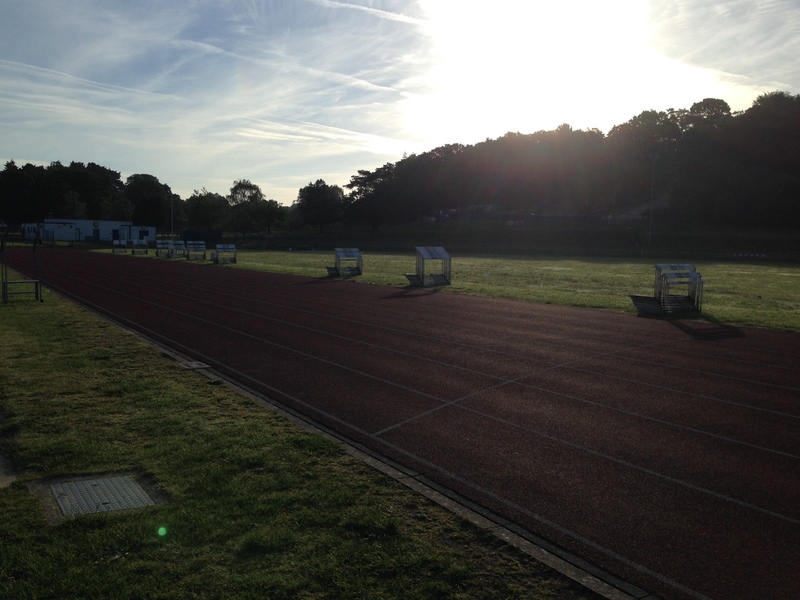 I did 100m; 200m; 300m; 400m; 400m; 300m; 200m; 100m. My intention was to have a minute’s rest after each one, but a slight oversight meant that didn’t happen. 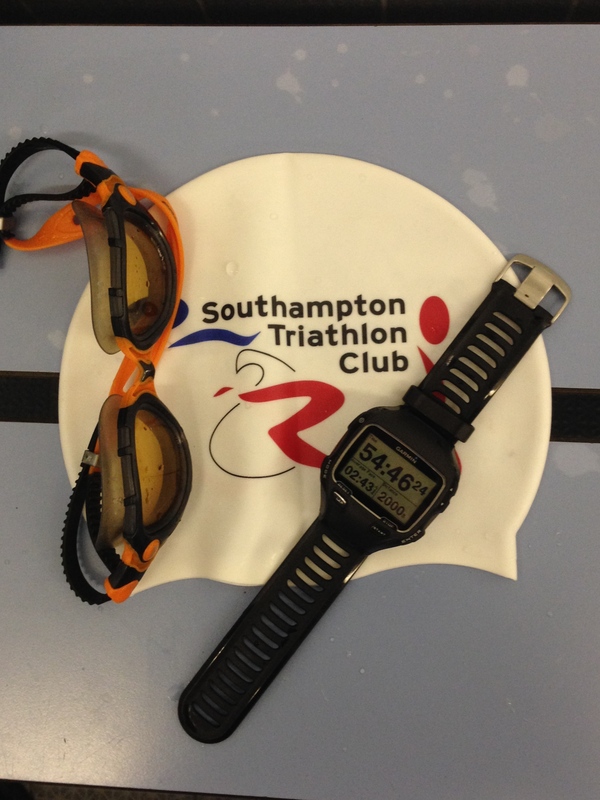 After I arrived at the pool, I realised that my prescription goggles and my favourite swimming hat were in my swim kit bag with my pull buoy, fins and hand paddles… and that bag was at home. I’m partial to my shark hat as it is comfortable and stops water from going in my ears, and without contact lenses, glasses or prescription goggles, my eyesight is very limited, which makes doing basic activities somewhat hazardous. I almost gave up on swimming, but I realised that I had a tri club swimming hat tucked in my rucksack. I rarely wear it as it’s not as comfortable as my other hat and it feels a bit pretentious to wear it when swimming in a public pool. I’d rather not draw attention to the fact that I’m desperately trying to be a triathlete, as I feel that other people have preconceived ideas about how good a swimmer I should be. (That’s probably in my head, but I don’t like attracting attention). I also realised that I have the cheap pair of goggles that I bought in Cyprus in my rucksack, so I put them on and went into the pool. I was able to read my watch, but even with squinting, I couldn’t make out any of the numbers on the giant wall clock. My husband was just finishing his swim set as I arrived. I had seen him when I walked into the building (there’s a glass wall in the reception that shows off the pool), but with restricted vision, I had to wait until he was just a metre or so away to be sure that it was him. He had another 100m to do and agreed that when he had done that, I could borrow his goggles. They aren’t prescription ones, but they are quite expensive and more comfortable than what I had. I was really appreciative of them, although I’m not convinced that orange lenses are helpful. When I breathe, I relax and don’t kick, so my legs sink. I can’t believe that I’ve only just noticed this! In the evening, a lot of my friends did a cross-country race, but I went to see the sports masseur who had a look at my injured right leg. I don’t know what she did to it, but it hurt then and it’s still painful now 🙁 Hopefully, tomorrow it will feel amazing! 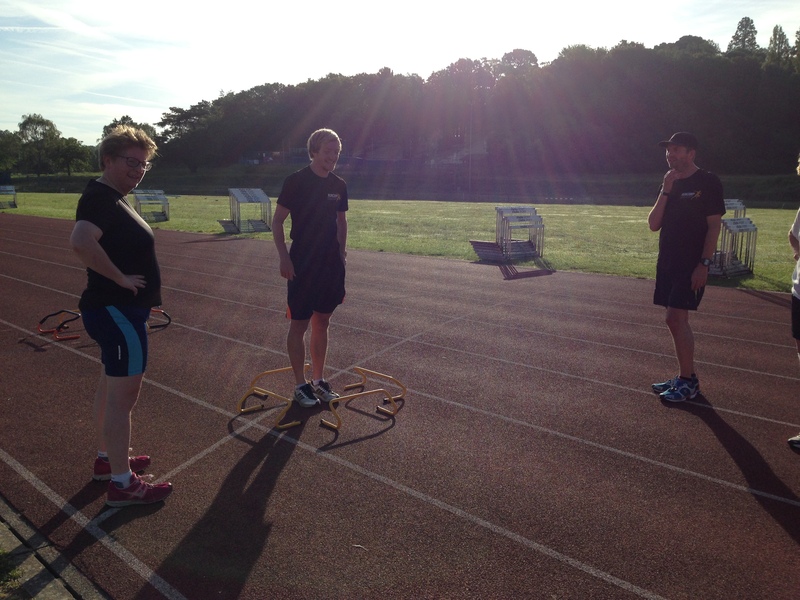 Yesterday’s training started at the track at 6:30am. It was a session about cadence and pace, so we had to do multiple laps of the track at different paces (easy, 5k, 3k, 1k, all out, 1k, 3k, 5k, easy). It doesn’t sound too bad, but we had to count the number of steps each lap took. That requires tremendous concentration for before 7am!!! For me, it was between 300 and 400 each lap. I’m intrigued by what my coach is going to do with the info. 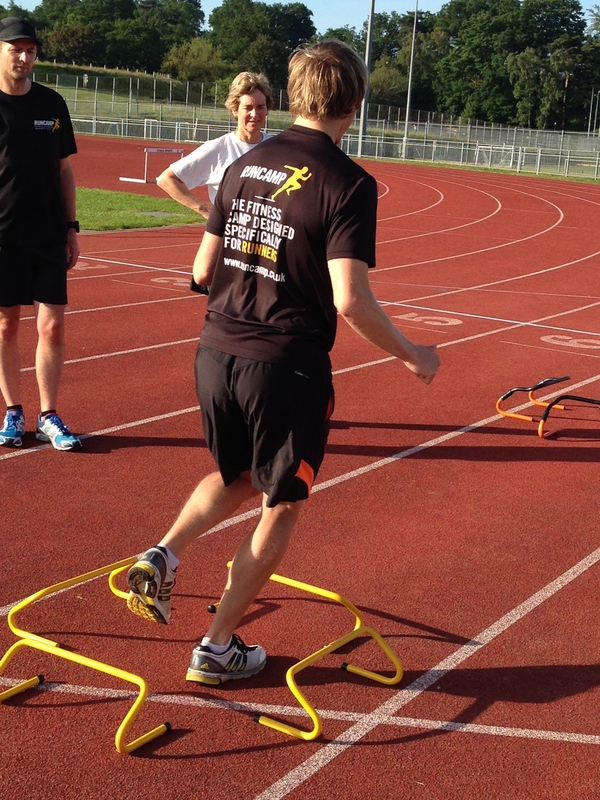 We then moved on to a variety of exercises and the famous hurdles came out again. They were put in a square and we had to hop over them. Hopping forwards and sideways isn’t too bad, but hopping backwards over an obstacle that you can’t really see is challenging! 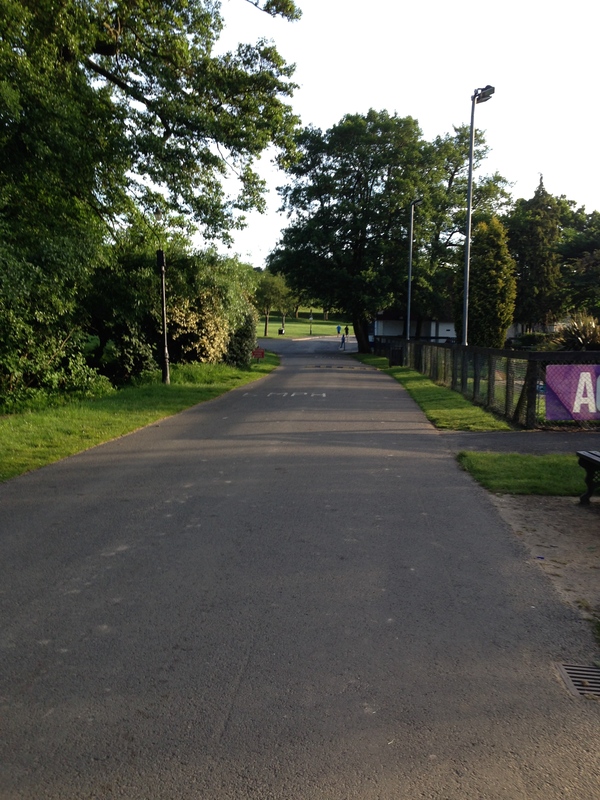 Yesterday evening, I had to do an hour on my bike, including 4 reps of a steep hill. It was meant to be a 2-minute hill climbing effort. Once again, I judged it incorrectly, so I found a hill that took about 1:45. I’m hoping that’s close enough! Today was an optional 30-minute swim, but as I had quite a busy day at work and am feeling exhausted, I decided to take it as a rest day, so that I’m ready for tomorrow’s 70-minute run. Does your coach get you to do any unusual drills? Who do you think wins the rap battle? Yes, you’re probably right. He knows that my cadence is fairly consistent at about 92spm, so I guess it’s something to do with stride length. I must ask him on Thursday as I’m intrigued… I’ve also set up my Garmin so that it will count for me (as well as showing the cadence) as it took a lot of concentration! Thanks for sharing the video — it was awesome! I love the stuff those guys do, as there’s always someone I know who matches up to the stereotypes! Why do I keep entering crazy events?